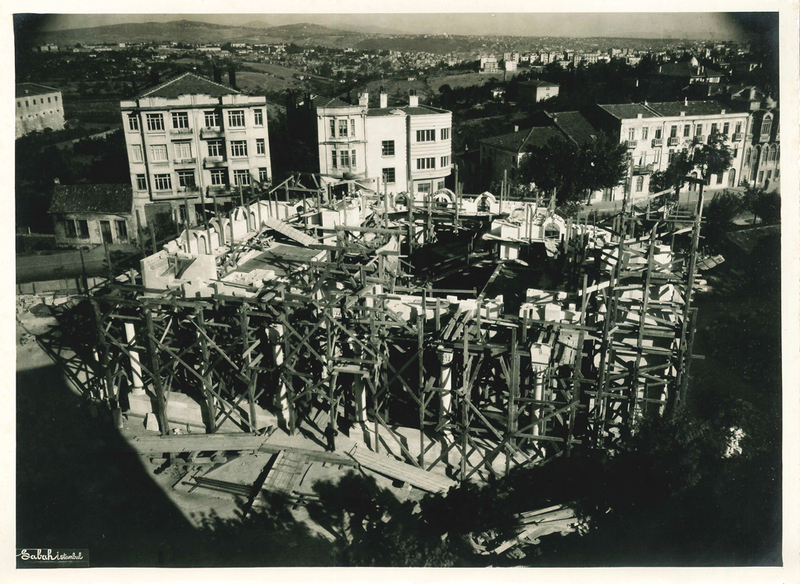 With a selection from Suna and İnan Kıraç Foundation Photography Collection “An Ottoman Building in the Early Republican Era: The Şişli Mosque” exhibition focuses on the first monumental religious building of the Republican era of İstanbul through selected photographs and documents, and can be seen at İstanbul Research Institute until May 28! Here’s the second section of the exhibition. 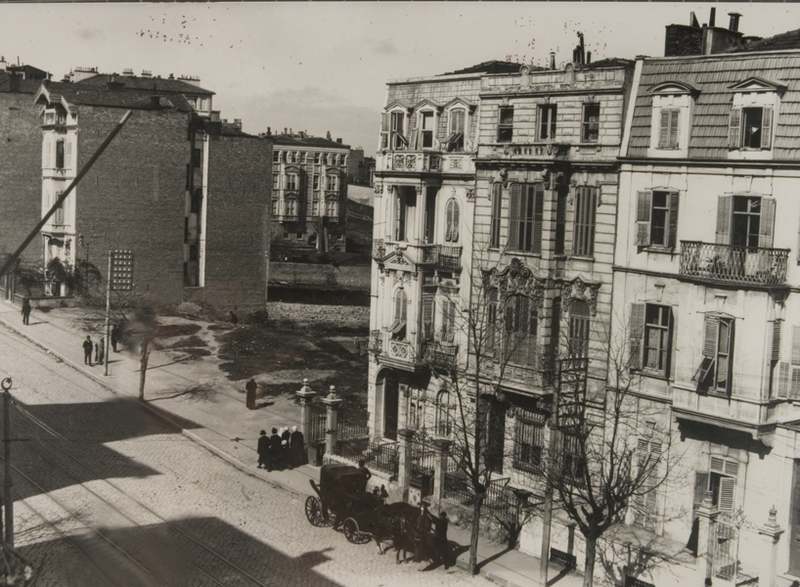 As Beyoğlu begins to lose ground as a coveted residential area in the 1940s and the elite crowd begins to move north towards Şişli, the political, demographic, and cultural weight of the city shifts along this axis. Halaskargazi Avenue. Ali Enis Oza, early 20th century. 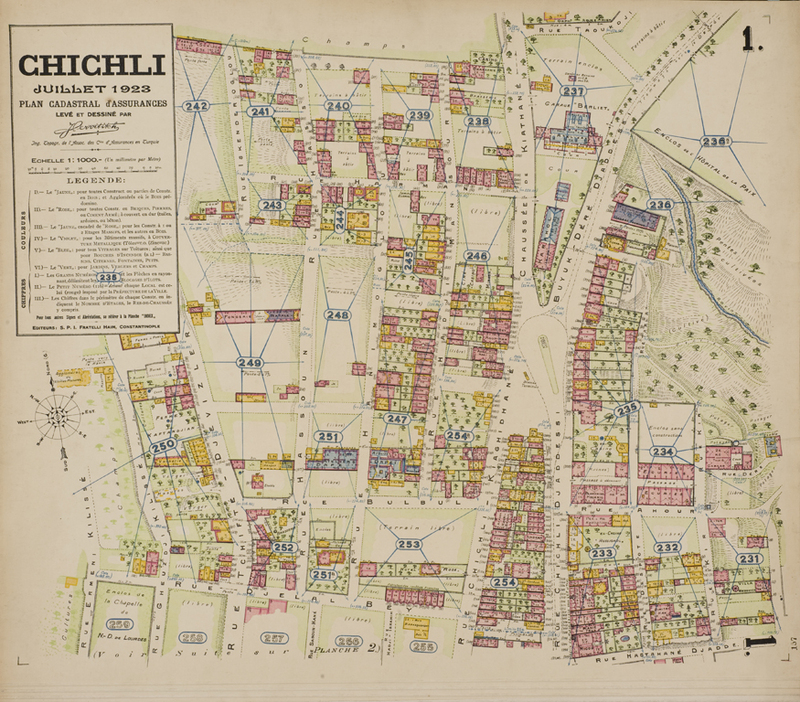 The Muslim population of this cosmopolitan district needed a mosque, and the “Association for the Construction of and Support for a Mosque in Şişli” was founded with the support of Dr. Lütfi Kırdar, the governor of İstanbul at the time; a 3219.5 square-meter lot that belonged to the Special Provincial Directorate of Administration, where the Cavalry Barracks used to be (Fig. 1), was handed over to the association for a symbolic sum on the condition that a mosque would be built there. Northern view of construction, body walls and minaret. 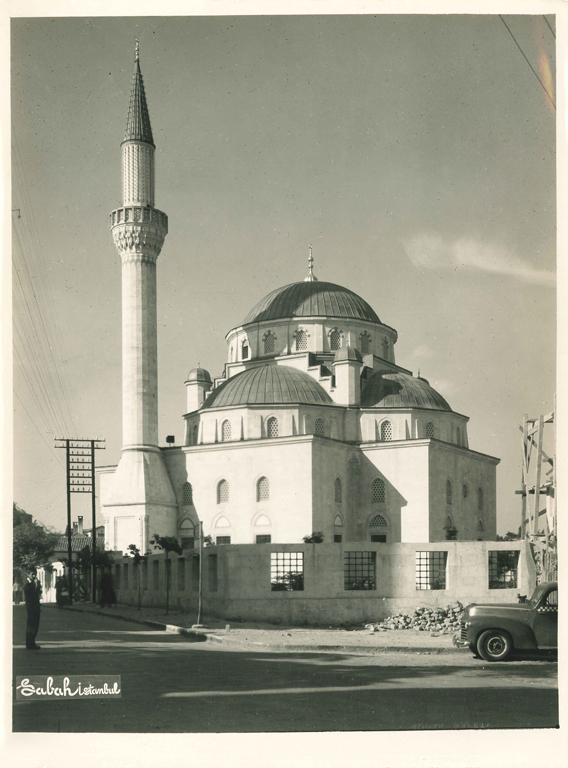 With the financial aid of both the Muslim and non-Muslim communities of the neighbourhood, the construction began in June 1945 and completed in 1949. Southwestern view of the mosque. 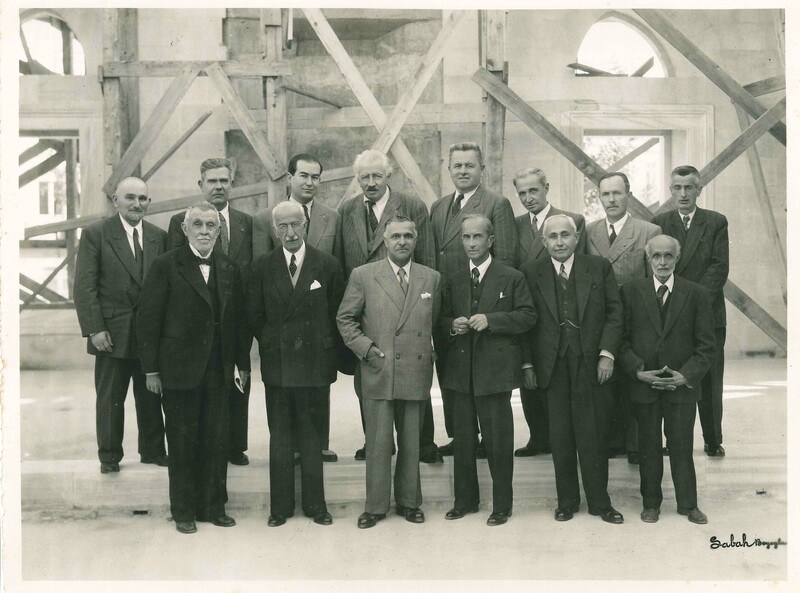 The mosque was designed by Vasfi Egeli (1890-1962); Fikri Santur (1876-1951) created the static project, and detail drawings were made by Nazimi Yaver Yenal (1904-1987) and Vahan Kantarcı.